China-based Bitcoin exchange OKCoin decided recently to stop accepting Bitcoin and Litecoin deposits from cryptocurrency users in the US due to regulatory pressure. Given that several states like New York and California are still unwelcoming to the idea of cryptocurrency usage, OKCoin has decided to stay on the safe side before detrimental damage is done to the company. Bitcoin users from the US were exasperated by the sudden restriction. However, OKCoin cleared that this precautionary customer restraint will only be temporarily practiced. Is OKCoin heading toward an unfortunate conclusion? After this announcement, several Bitcoin users are flabbergasted by the decision of the Chinese Bitcoin exchange. US Bitcoin consumers are rather skeptical about OKCoin’s compliance with the US regulation. This news was later posted on the forum website Reddit and has garnered a variety of comments that ranges from concerns to conspiracies. One user even stated that OKCoin’s halting of US deposits is similar to the exchange’s constant system failure before it completely fell to its demise, which eventually turned out to be a Mt. Gox heist. These comments, however, may hold trivial truths and may be based on the exchange’s internal issues. In May of this year, OKCoin made a buzz after the company’s former Chief Technology Officer Changpeng Zhao made a public statement about the anomalies that are brewing within the company long before his exit. He said that contradicting ideals and financial issues are rampant during his tenure, which then led to his resignation. Nevertheless, OKCoin administrators are yet to give their verdict in regard to the duration of the restriction as of writing. US embraces Bitcoin—will it ever happen? Cryptocurrency aficionados based in the US are not foreign to this kind of restriction. In fact, several Bitcoin-based platforms have restricted their services to US Bitcoin consumers. The US authorities are continuously trying to control the influence that cryptocurrency may bring to the current financial landscape. After all, officials still see Bitcoin as a commodity rather than a currency. Although the US houses great numbers of Bitcoin startups, these entrepreneurs are rather wary of servicing their countrymen because of cryptocurrency regulations. 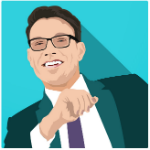 Despite this, there are still certain businesses that believe in the importance of BitLicense in market success. 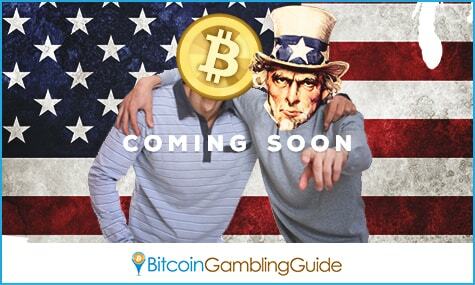 Bitcoin casinos and gambling websites are also affected by the country’s jurisdiction. 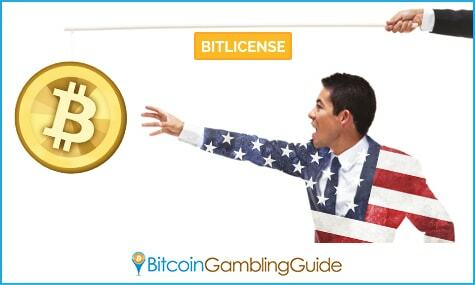 Therefore, even if the online casino is not based in the US, they chose not invite US Bitcoin gamblers to preserve the clean slate their platforms have. However, after the recent stock market meltdown, American stock holders, financial sectors, and entrepreneurs are gradually grasping the positive effects that Bitcoin may bring to the economy, especially for instances as the panic at wall street. Regulations like the BitLicense continue to exist in the US, but a growing population—some are influential personalities—is warming up to the mainstream adoption of Bitcoin. This sudden change of heart also gives an encouraging impact to the Bitcoin gambling industry’s progress because of the fact that this niche may soon be a familiar entity to layman consumers.